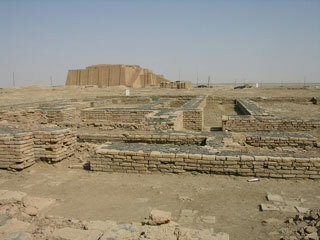 The Ahwar is made up of seven sites: three archaeological sites and four wetland marsh areas in southern Iraq. The archaeological cities of Uruk and Ur and the Tell Eridu archaeological site form part of the remains of the Sumerian cities and settlements that developed in southern Mesopotamia between the 4th and the 3rd millennium BCE in the marshy delta of the Tigris and Euphrates rivers. The Ahwar of Southern Iraq - also known as the Iraqi Marshlands - are unique, as one of the world's largest inland delta systems, in an extremely hot and arid environment. This article uses material from UNESCO World Heritage List article "Ahwar of Southern Iraq", which is released under the Creative Commons Attribution-Share-Alike 3.0 IGO License.